Star Wars: Battlefront delivers plenty of nostalgia for Star Wars fans wanting to battle on familiar worlds of Tatooine, Hoth, and the forest moon of Endor. 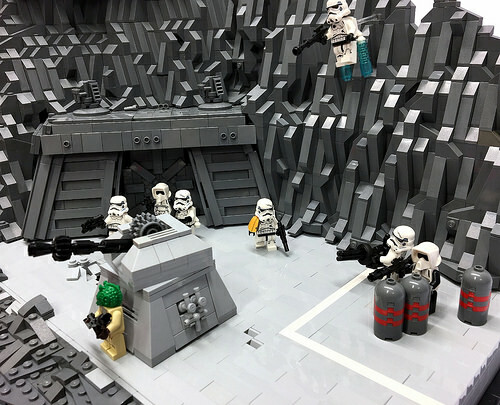 Interestingly, developers DICE also included the volcanic world of Sullust, which was home to Imperial bases and manufacturing complexes, and is my favorite battlefront in the game. 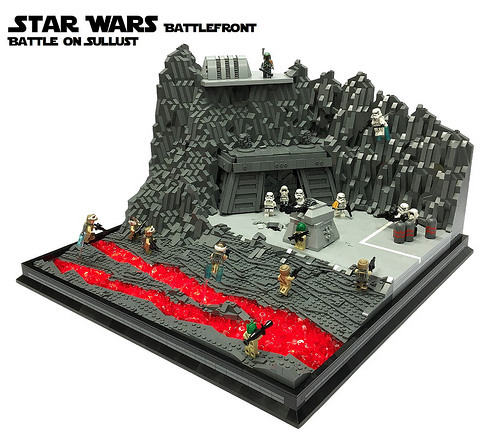 Markus19840420 presents a diorama showing the three major scenery types you’ll find on Battlefront’s Sullust (obsidian and lava rivers, massive rocky cliffsides, and Imperial architecture) all blended together well. I especially like the integration of the bunker into the jagged cliff. Is that Boba Fett on the overlook? The rebels are about to be wrecked. Fett is overpowered. Star Wars: Battlefront it’s the best game about Star Wars as for me. I played it when I was child. For all who don’t know what is it – read this article. Here’s all about all games from Star Wars.